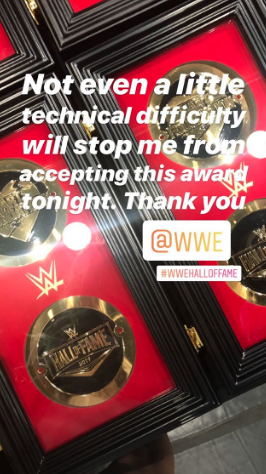 Tonight’s WWE Hall of Fame ceremony in Brooklyn was briefly derailed when a person in a rasta cap jumped into the ring and took down wrestler Bret Hart during his speech. How much did Vince McMahon pay that guy? Update (11:59 p.m. ET): The AP says police arrested and charged the dude.